This is the bands debut CD and it is described in their bio as "fuzzed out organ tremolo psych rock n roll". The band is a three piece of drums, guitar and organ with female vocals. The band has a really killer lo-fi 60's psychedelic beat sound. Quite amazing! The opening track is quite an intense little number that takes you back in time. Not the whole CD is upbeat and rocking though. "She Said" follows and is very much like the Monkees and includes a cool psychedelic guitar jam! "The Sun" is a killer 9 minute psychedelic LSD track. The CD has a great mixture of stuff on it, all with its roots deep in the 60's psychedelic rock domain. They get mellow and spaced out as well. I really hope that the band makes it over to Europe! Very impressive. 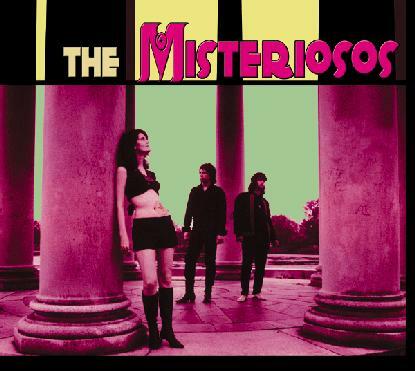 For more information you can visit The Misteriosos web site at: http://www.themisteriosos.com.